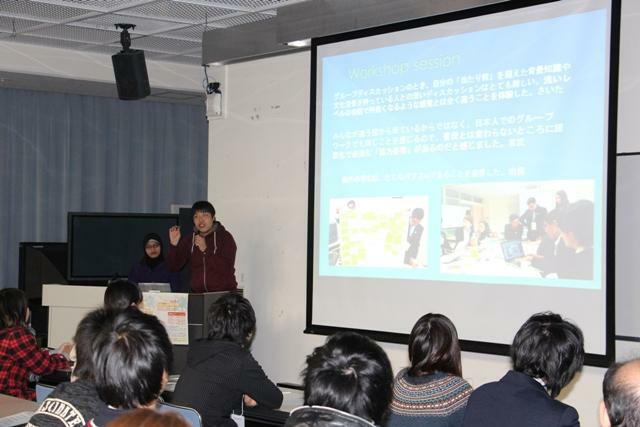 Mie University | Debriefing Session for the Tri-U IJSS was held. 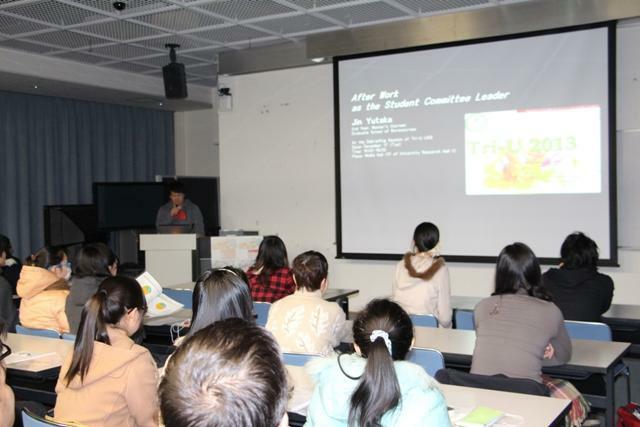 Debriefing Session for the Tri-U IJSS was held. 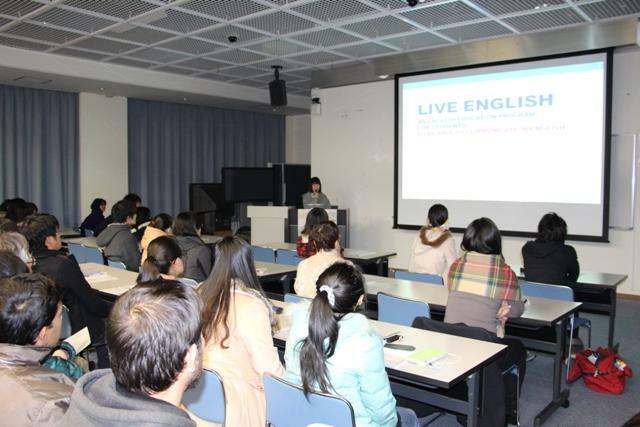 On December 17, 2013, the debriefing session for the Tri-U International Joint Seminar & Symposium was held. The Tri-University International Joint Seminar & Symposium is an academic meeting hosted by Mie University (Japan), Chiang Mai University (Thailand) and Jiangsu University (China) in turn. Bogor Agricultural University was newly added as one of the host universities from 2011. 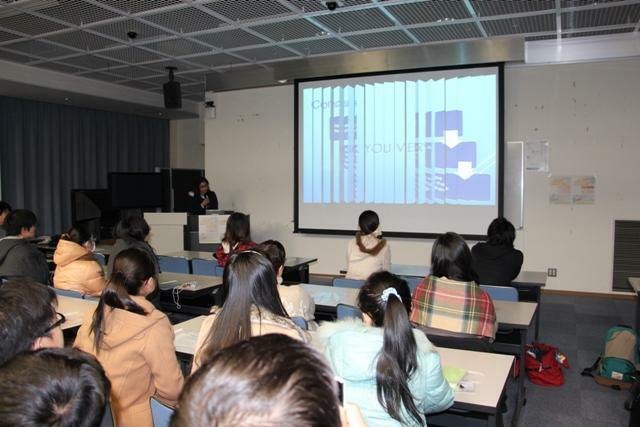 In this year, the 20th Seminar was held from October 28 to November 1 at Mie University, and about 140 people from 20 universities in 8 countries including 14 presenters from Mie University. At the debriefing session, paper presenters and student committee members made reports, in addition, Ms. Yuri Saita & Ms. Marina de Melo who received best paper award made their paper presentaion. In the session, about 65 people who are interested in international activities and attending the next Tri-U IJSS at Chiang Mai University, Thailand learned a lot from their reports.